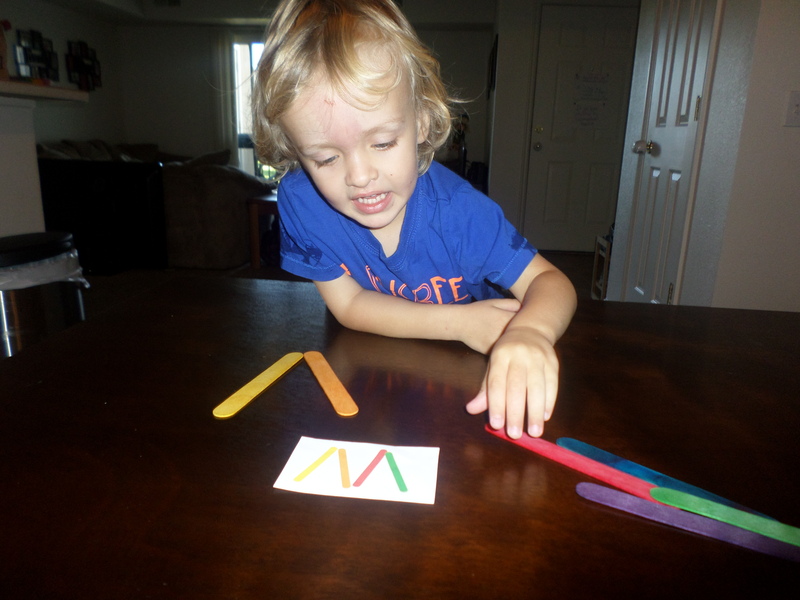 To help Izzy work on patterns, we printed out some fun popsicle stick puzzles we found here and spent the morning working on them. 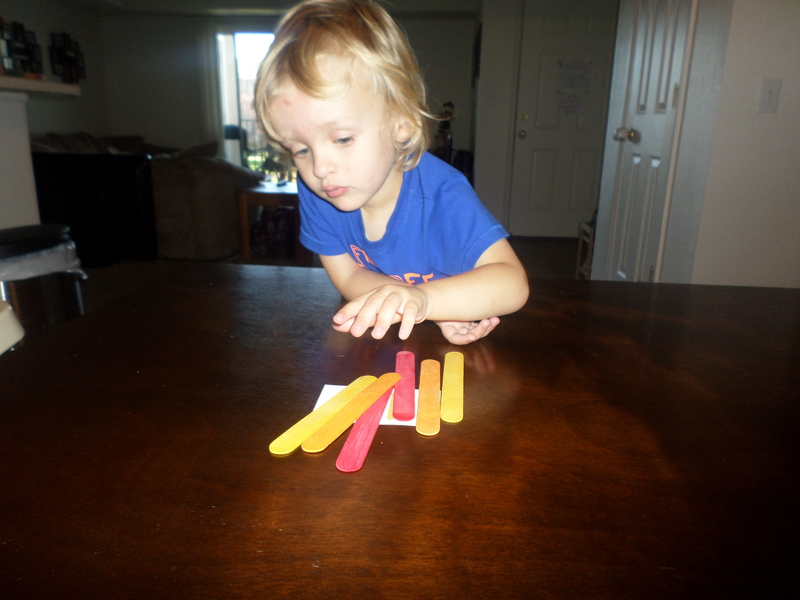 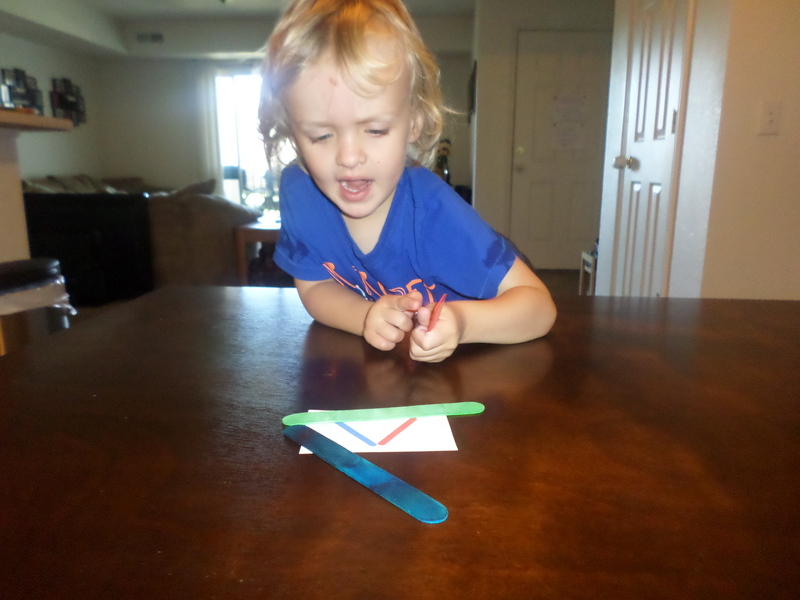 I thought he would enjoy this activity because he has a bunny puzzle that is much the same concept that he quite enjoys, but I guess a wooden animal is much cooler than colorful wooden sticks because he just wasn’t feeling this nearly as much. 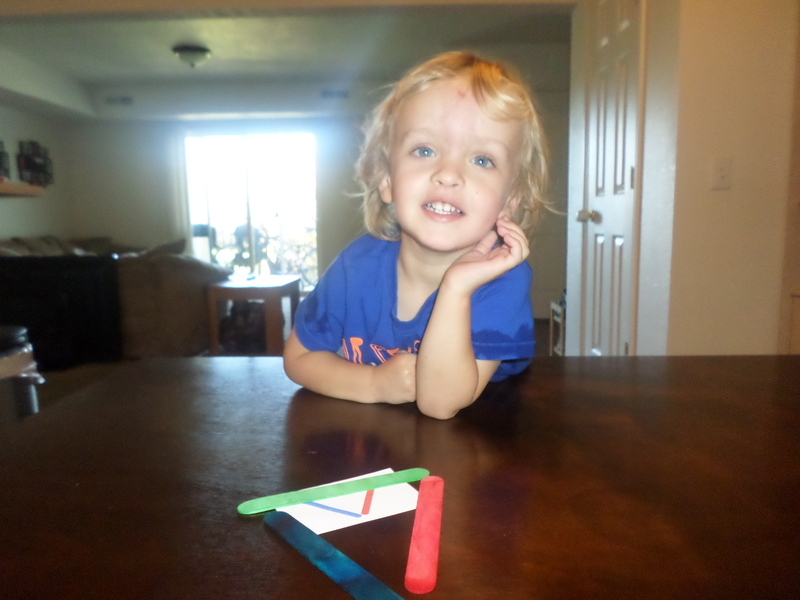 He still did a pretty good job though. 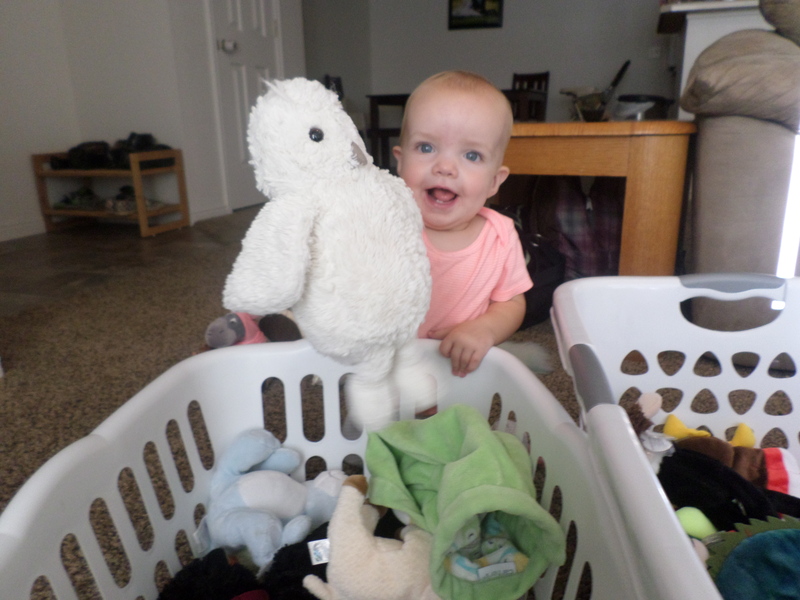 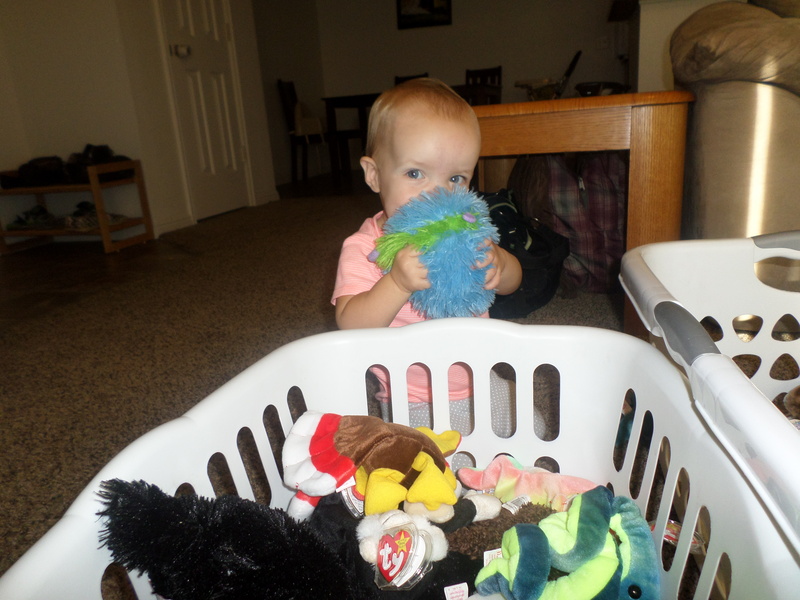 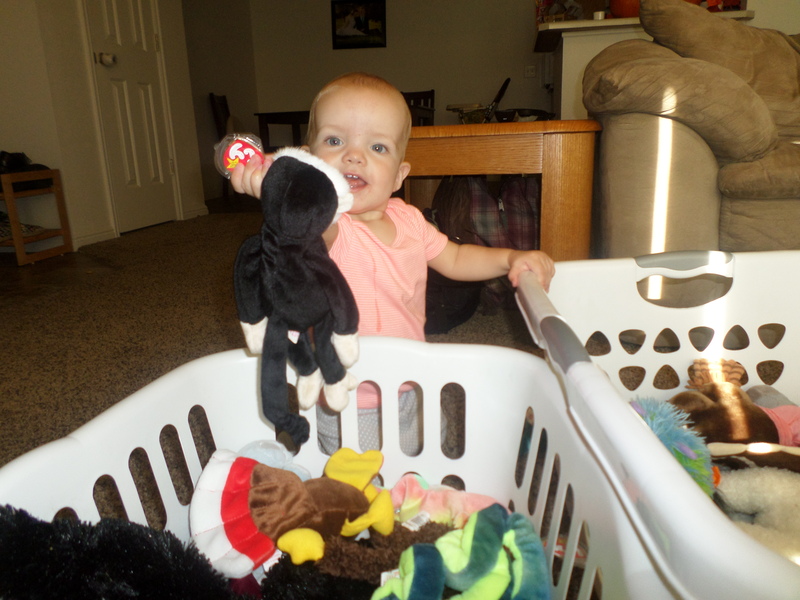 In the afternoon, Sydney and I played with lots and lots of stuffed animals and practiced transferring them between two laundry baskets. 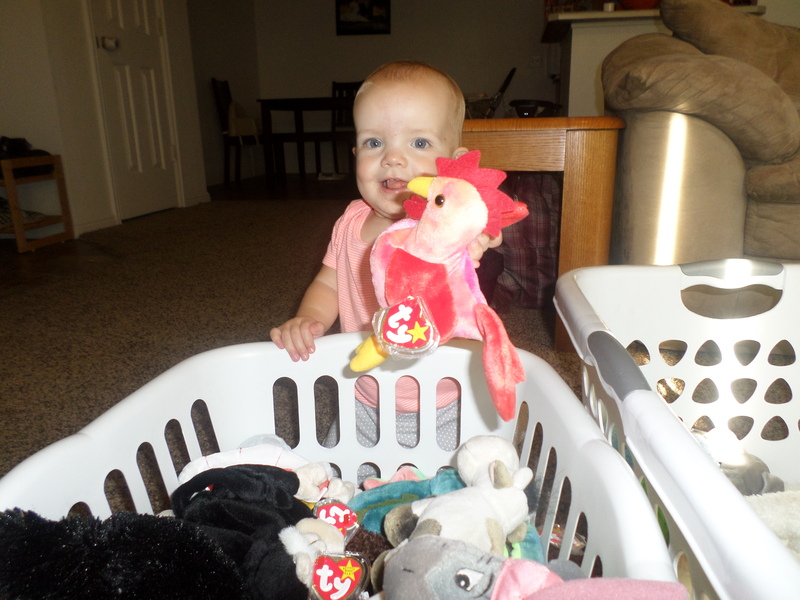 This was one of Izzy’s favorite activities at her age and she quite enjoyed it as well. 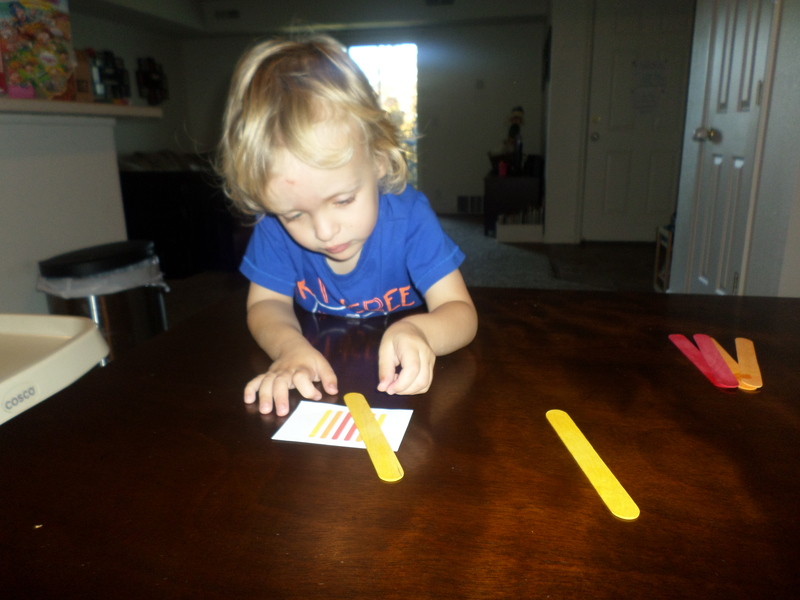 It was also fun for me to see the differences in how they played. 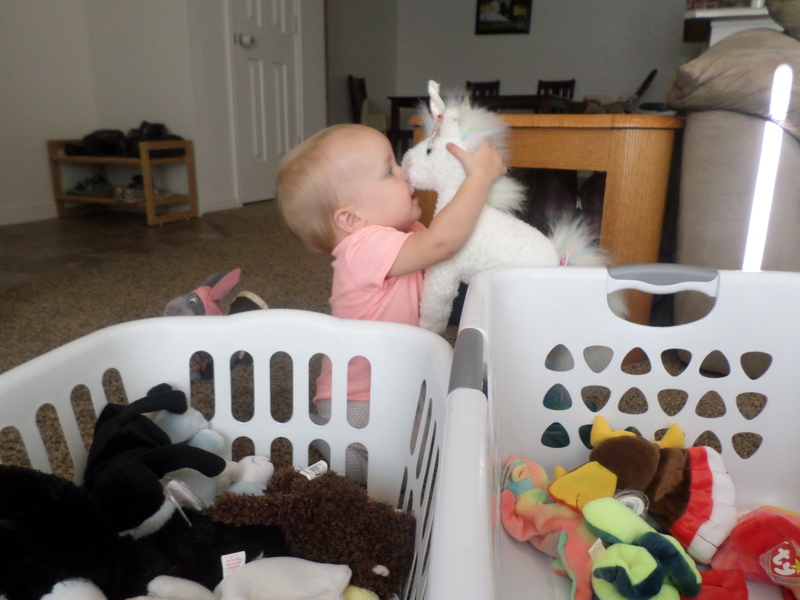 When Izzy was little he just wanted to sit in the basket and throw all of the animals out. 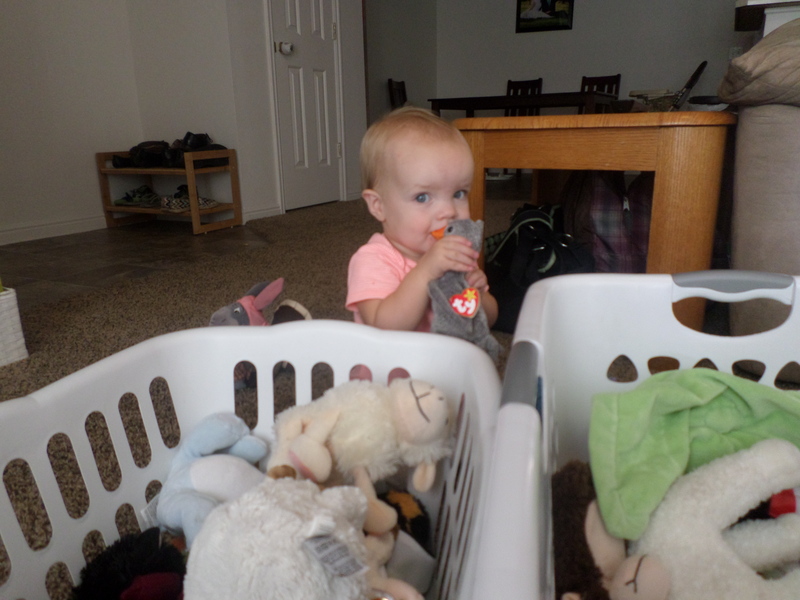 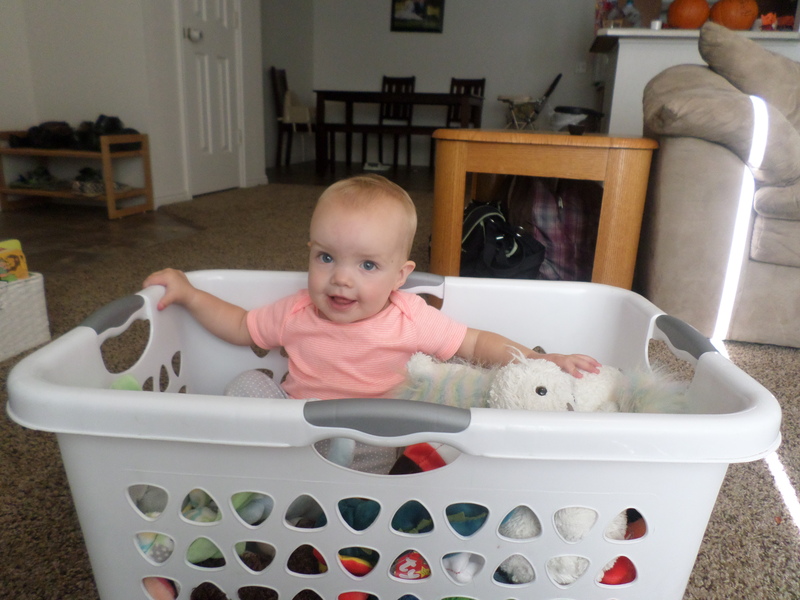 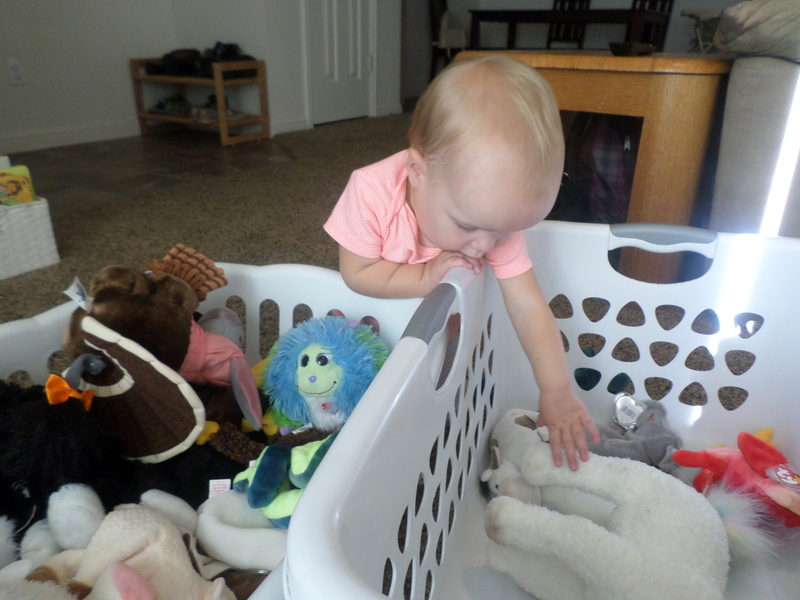 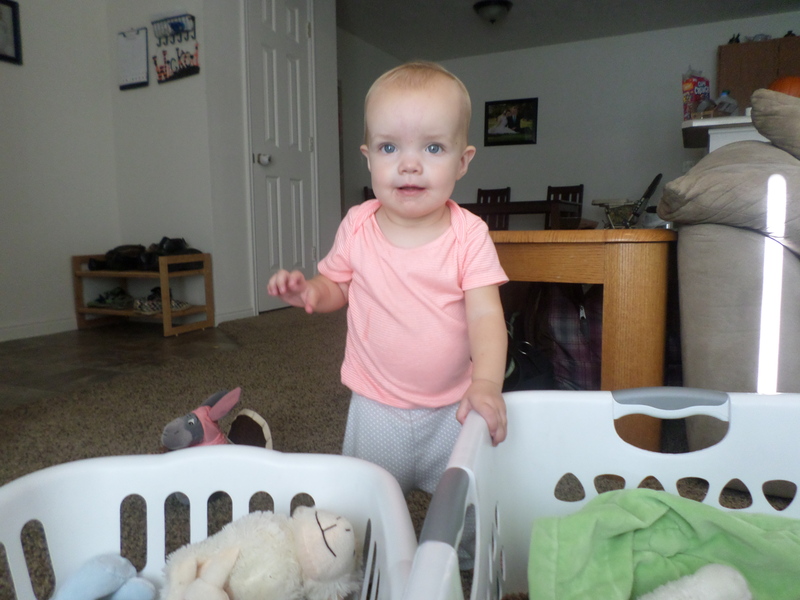 Sydney, on the other hand, loved transferring the animals from basket to basket, but that is her hobby of the moment… give her small items and a big container and she is one happy girl!